Ready to get your party on? Get dressed to impress and leave the kids at home, because this Bucks party in Perth is not for the faint of heart. Throughout your time, you will be making the most of the ample nightlife, outstanding tucker, and most of all, the company of your best mates. What a way to celebrate your bachelorhood! But where to lay your head each night? There are no shortage of options, and at Wicked Bucks, we wanted to provide some options that will suit you, whatever your taste or your budget. Here are our picks, from the more basic, to the stylish. It might be basic, but this heritage-listed building comes with its own unique style. It is clean, well maintained, and features some lovely soft beds for a good night’s sleep. With dorm and private rooms sharing a common bathroom facility, free WiFi, breakfast, and a fully licensed bar, you will be well taken care of. 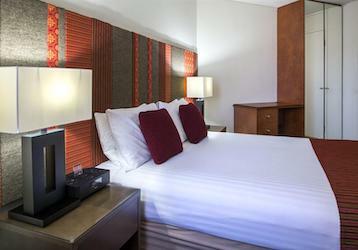 And in only five minutes, you will find yourself in the heart of the Perth CBD. Our lovely mid-range option steps it up a few notches for you and your crew. A swimming pool awaits to soothe some aching muscles, while free WiFi throughout the hotel finds its way in to a range of 1 and 2 bedroom apartments. 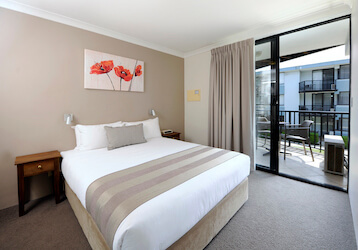 Clean and tidy, and only moments to the CBD, you can settle in and sleep well here. Our premium four-star option lays out the red carpet for you and the crew, and why not? These finely-appointed 1, 2, and 3 bedroom apartments are outfitted to impress. The onsite bar and restaurant is highly regarded, and the onsite gym and free WiFi are there for your convenience. 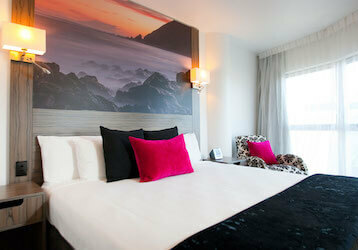 If you’re looking to do it posh in Perth, you have found your accommodation!